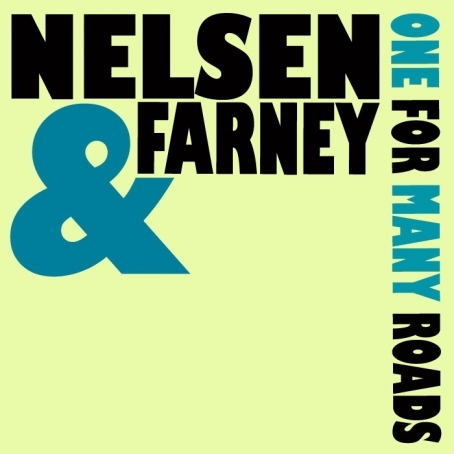 Nelsen & Farney consists of San Francisco based singer/songwriters, Devin Farney and Mark Nelsen. 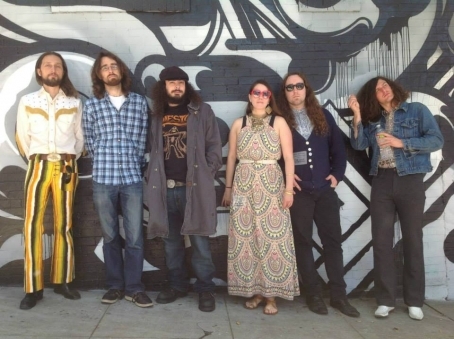 You may know Mark from the heavy psych rock band, Electric Shepherd and Devin as the keyboardist of the 60s revivalist band, The Love Dimension. We're always excited to share new music and Nelsen & Farney have given us the honor of premiering their latest musical effort entitled, One For Many Roads. If you like Simon and Garfunkel-esque folk music, you'll be into this record. Take a listen to the album in its entirety and don't miss the duo's album release show at The Lost Church in San Francisco on September 30th! 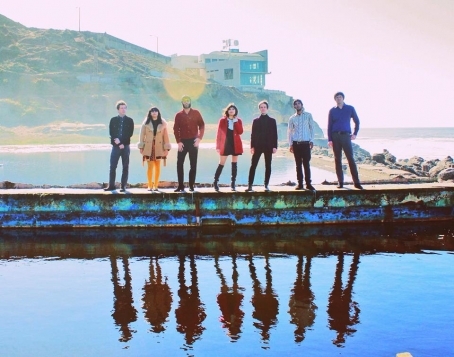 The San Francisco based psychedelic revivalist band, The Love Dimension has shared a new music video for Inner Eye Insight, a single from their latest album, Create and Consume. The video was directed by Matt Robeson of White Light Prism. Oh, we're so into the love-centric, esoteric lyrics of Inner Eye Insight and the amazing nature shots going on in the video. It's really nice to see the band's six member full line up grooving all in one shot! Check out the video and then take the opportunity to see The Love Dimension perform live at Great American Music Hall in San Francisco on Saturday, May 23rd. 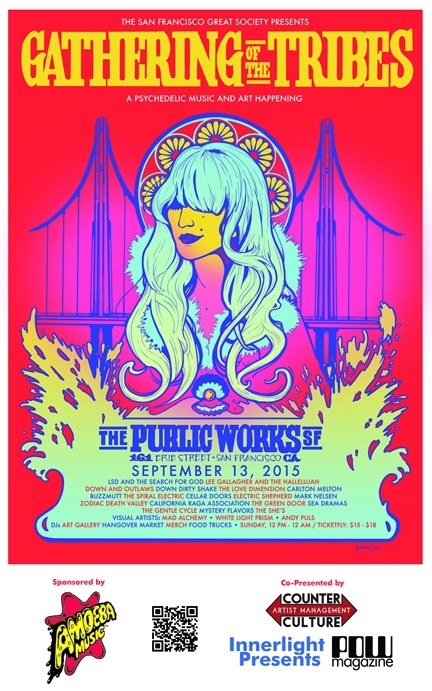 The show will also include performances by Cellar Doors, Buzzmutt and The Bad Jones. On January 22nd, The Independent will be hosting a psychedelic music showcase featuring Brian Jonestown Massacre's charismatic percussion extraordinaire, Joel Gion and his band The Primary Colours, San Francisco's premiere psych revivalist band, The Love Dimension, psych pop/post punk band, Cellar Doors and psych soul band, Down Dirty Shake. You don't see too many full local line ups play The Independent, so do your best to attend to ensure these bands have a successful show. The more we help local bands fill larger venues, the more the venues will be inclined to give Bay Area bands a chance to shine. Not only is the line up local, but the bands are seasoned and absolutely stellar. We love a big shows just as much as we love bands straight out of the garage. Make your way out to the Independent and have a blast! 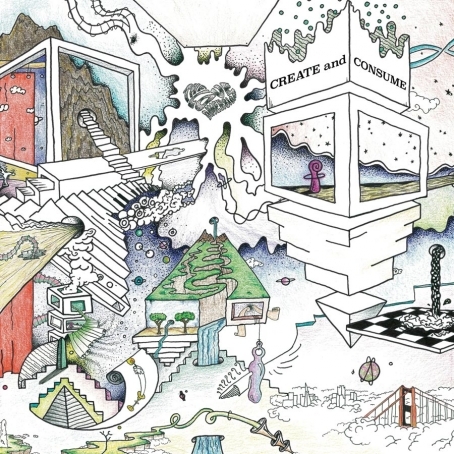 San Francisco based peace and lovecentric psychedelic rock band, The Love Dimension is preparing to release their new full length album entitled, Create and Consume. This long running local band will be celebrating their album release show at The Chapel in San Francisco on September 4th with Trainwreck Riders and Lee Gallagher and the Hallelujah. Make sure you don't miss this event! The Love Dimension deserves all of the positivity and support a local band can receive as they write and perform songs with a loving spiritually conscious vibe. Create and Consume will be available on 12 inch vinyl and we know the album is going to sound radiant. Pick up a copy on September 4th and support local independent bands! !